Newsletters – LA Kelley Communications, Inc.
View cart “PEN’s Insurance Pulse” has been added to your cart. Quarterly. The oldest US newsletter on hemophilia, produced and edited by a parent of a son with hemophilia. Provides medical, scientific, consumer, parenting articles and news. Investigates current topics in balanced, objective style. Empowers parents and patients to become educated consumers. 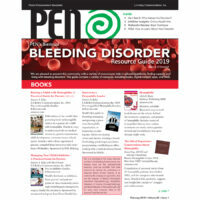 To download the current issue of PEN, please place it in your cart and check out. The download will happen once you submit your information. Annual. The only hemophilia newsletter completely dedicated to insurance issues from the parent/patient point of view. 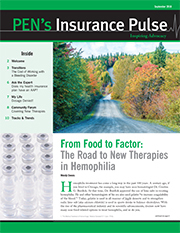 PEN’s Insurance Pulse will inspire you to protect access to therapy and healthcare.